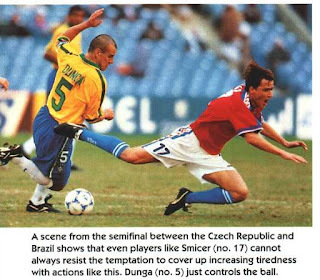 1:0 (53rd minute, Brazil): From the middle, Dunga passed to Juninho who crossed for Romario to score from the edge of the box. 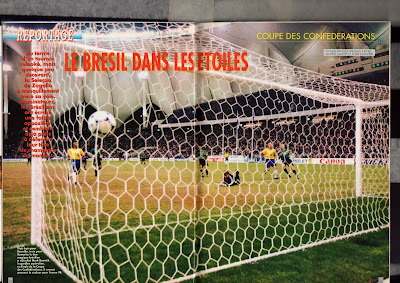 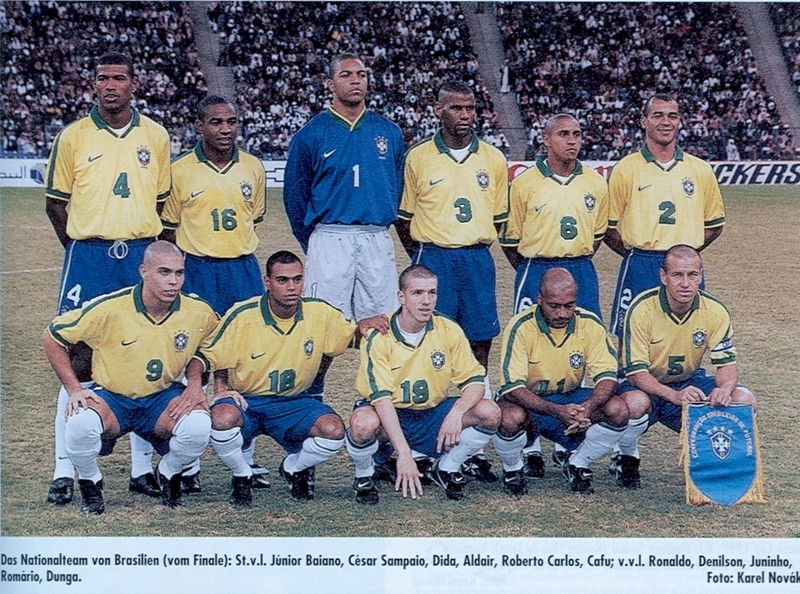 2:0 (82nd minute, Brazil): From the middle, Dunga sent a long cross on left side touchline to Denilson. 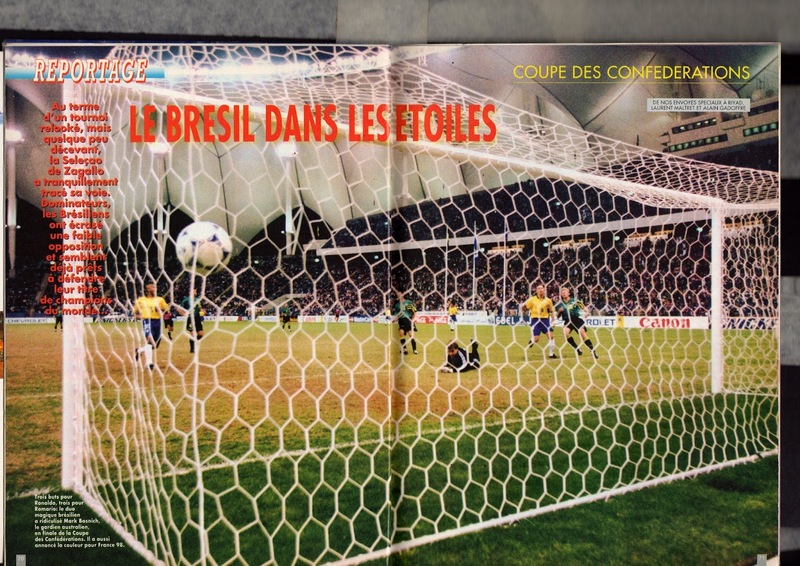 He sent a low cross for Ronaldo to score. 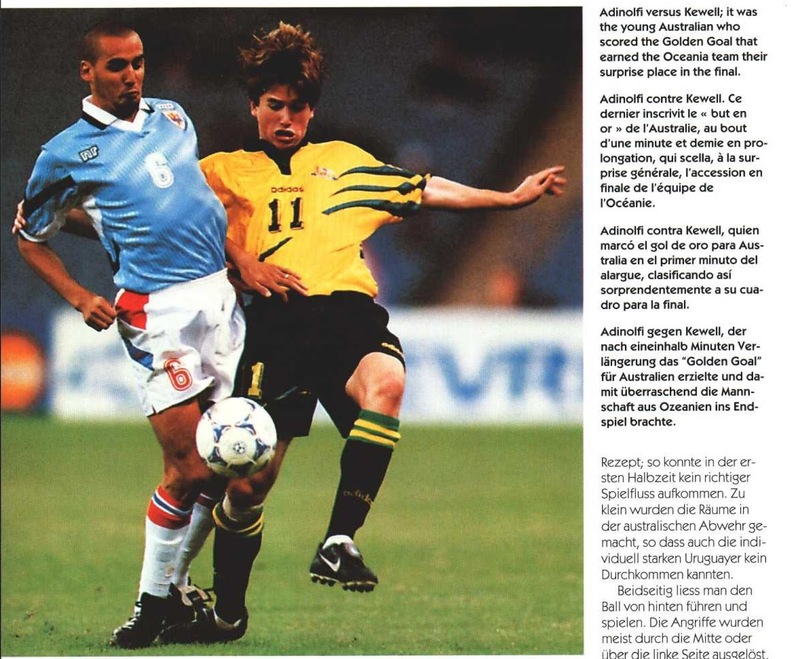 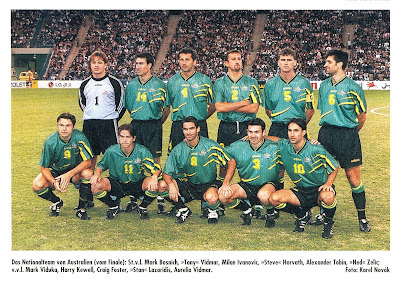 1:0 (92nd minute, Australia): Harry Kewell scored from a long range shot from outside of box. 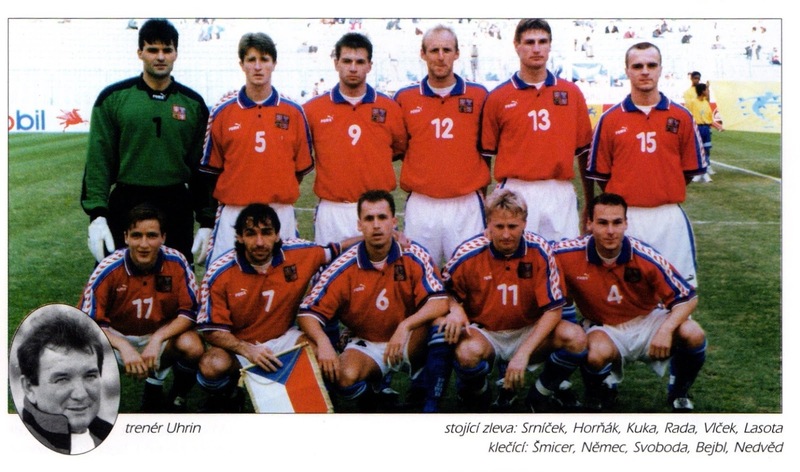 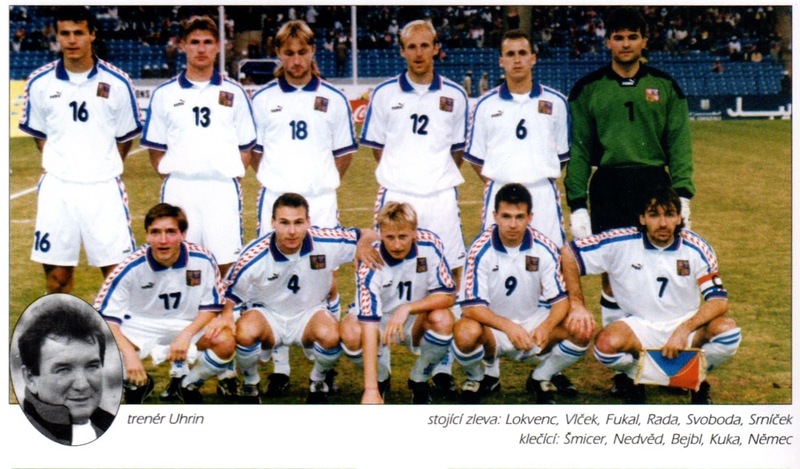 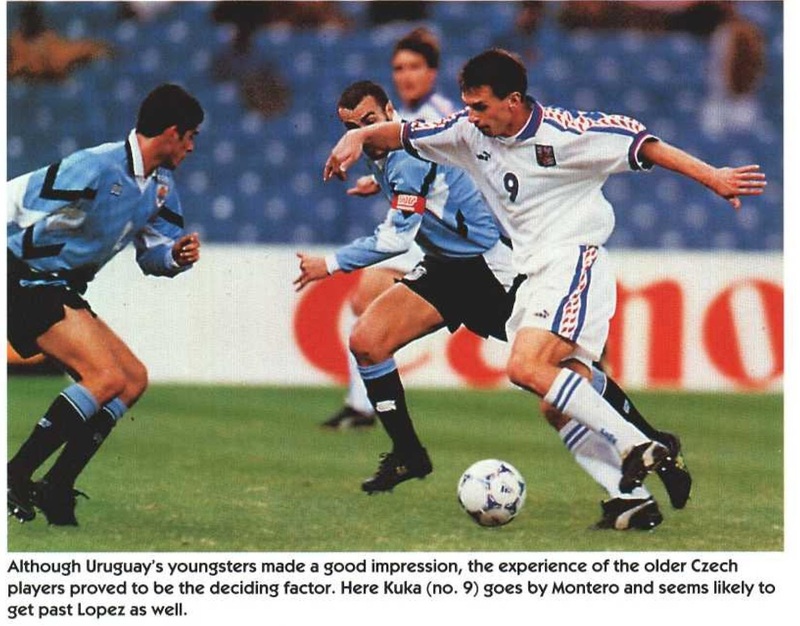 1:0 (62nd minute, Czech Republic): Kuka’s shot was parried by Claudio Flores and Eduard Lasota tapped in the rebound. 1:0 (15th minute, Brazil): Ronaldo passed to Denilson on the left side, he passed it back inside the box to Ronaldo to score. 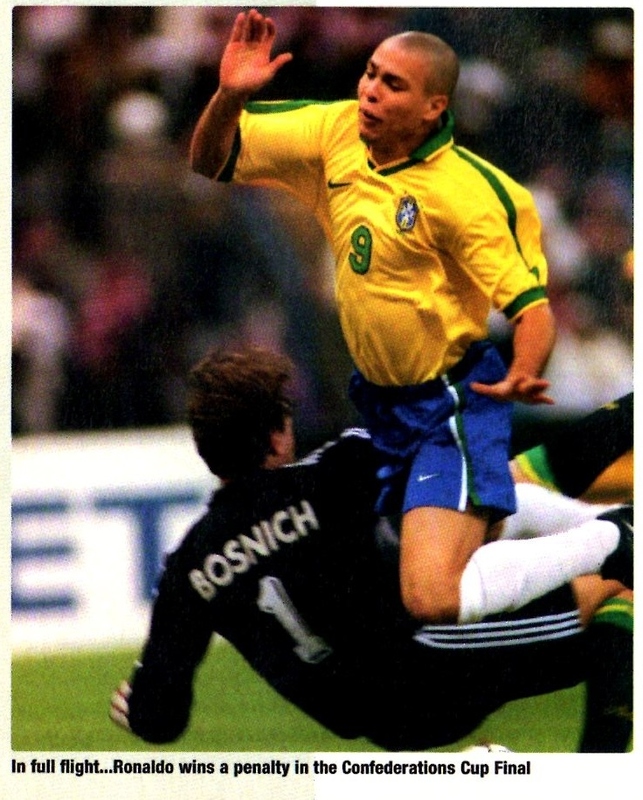 2:0 (28th minute, Brazil): Juninho lobbed a ball inside the box, the Australian defenders hesitated and Ronaldo poked it past Bosnich. 3:0 (38th minute, Brazil): Cafu’s cross from the right side was volleyed in by Romario. 4:0 (53rd minute, Brazil): Cafu’s cross from the right side was headed across by Ronaldo to Romario who trapped and scored. 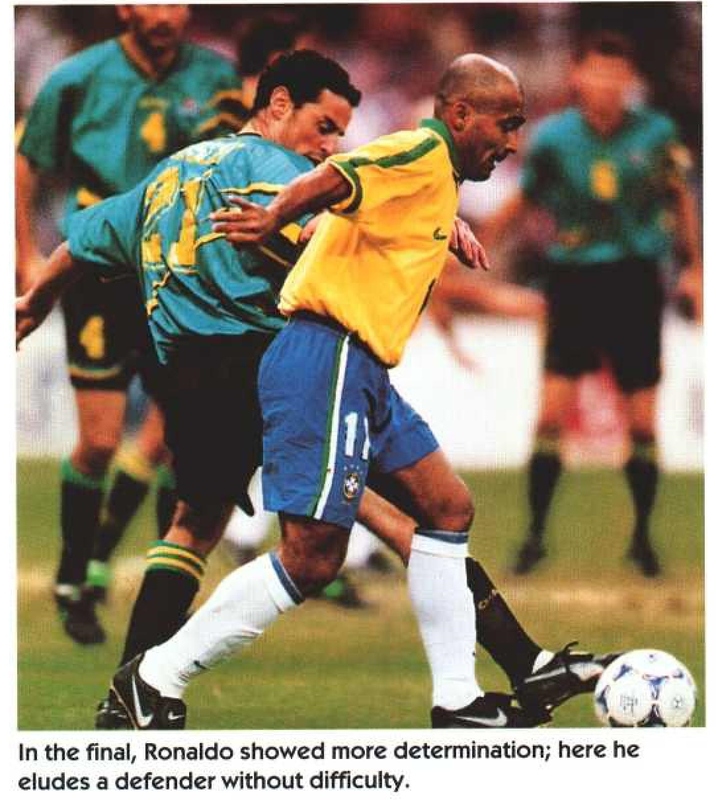 5:0 (59th minute, Brazil): Dunga sent a long cross from his own half to Ronaldo who trapped and scored. 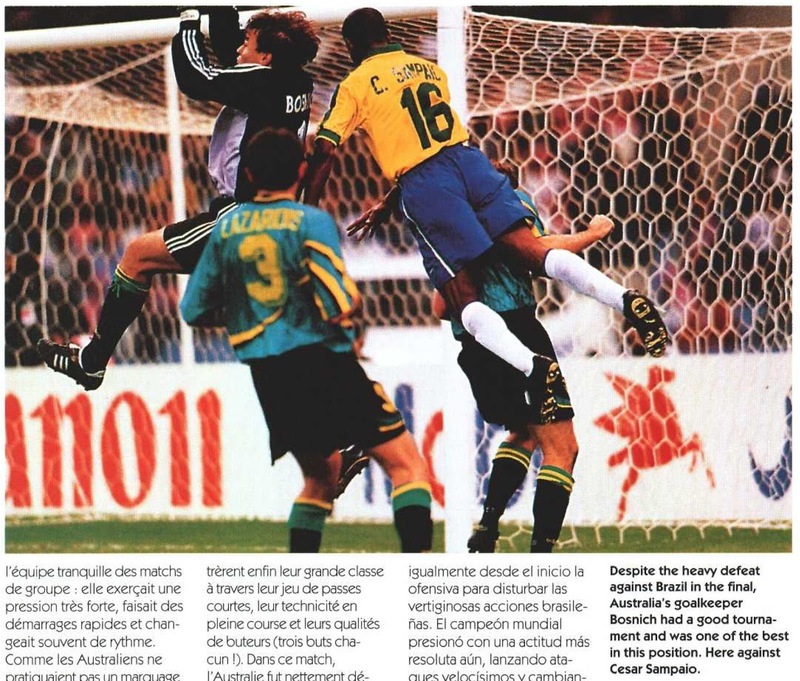 6:0 (75th minute, Brazil): Mark Bosnich fouled Ronaldo fouled in the box. 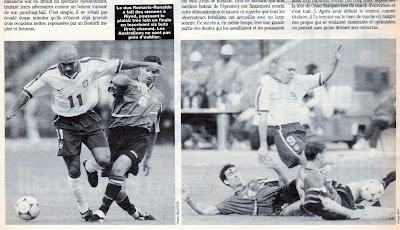 Romario scored from the ensuing penalty kick.